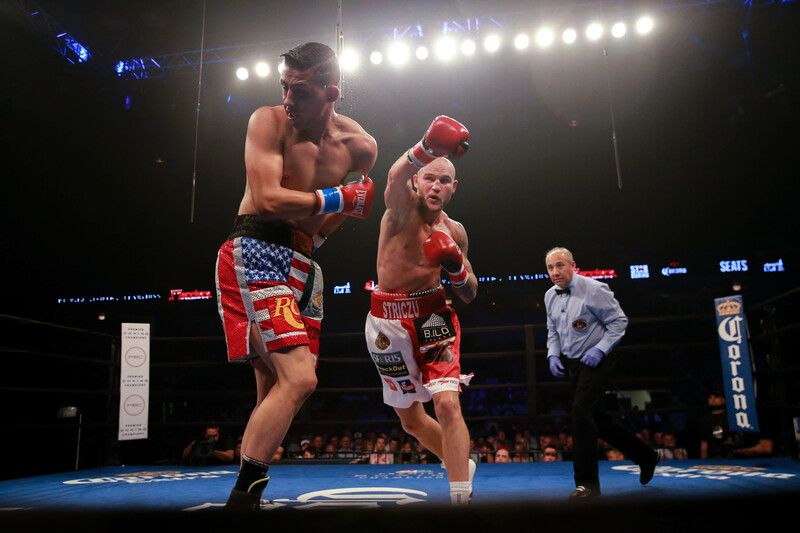 Middleweight contender Hugo Centeno Jr. suffered a rib injury while training and his Interim WBC Middleweight World Championship bout with Jermall Charlo has been rescheduled for a Premier Boxing Champions event on Saturday, April 21 live on SHOWTIME. The March 3 SHOWTIME CHAMPIONSHIP BOXING telecast continues as a doubleheader beginning at 9 p.m. ET/6 p.m. PT from Barclays Center in Brooklyn. In the main event, WBC Heavyweight World Champion Deontay Wilder will make the seventh and most difficult defense of his title against fellow-unbeaten heavyweight Luis Ortiz. In the opening bout of the March 3 doubleheader, Andre Dirrell and Jose Uzcategui will meet for the Interim IBF Super Middleweight World Championship in an immediate rematch of one of 2017’s best and most controversial fights. Charlo vs. Centeno will now be a featured bout on the previously announced April 21 SHOWTIME CHAMPIONSHIP BOXING telecast presented by Premier Boxing Champions. Four-division world champion Adrien Broner will face undefeated former champion Omar Figueroa and one of boxing’s brightest young stars, Gervonta Davis, returns to the ring as the 23-year-old undefeated former champion looks to regain a title in the 130-pound class. “I’m devastated.,” said Centeno. “I’ve been in the gym for a long time. Being so close to a fight and accomplishing my dream of a world title it’s devastating. “It happened during sparring. I tried to work through the pain and as the day progressed and the adrenaline subsided I had to go to the ER and get checked out. It’s a good enough injury that it had to be postponed. Nothing was broken, but it was severe enough to keep me from fighting. “I’m ready to go,” said Charlo. “I’m 167 pounds right now, and this was the best camp I’ve ever had. I’m so disappointed. I’m at a loss for words. When you want something so bad and you don’t get it, you can’t be a kid about it. You just have to deal with it. Victor Conte not happy with Deontay Wilder’s drug cheat comments, fires back!